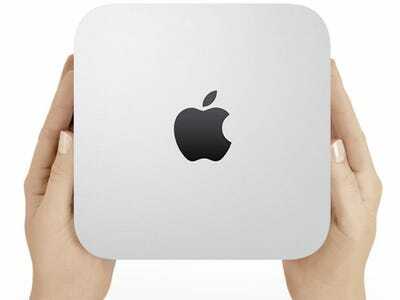 Anyone who’s used the same Mac or PC for more than a few months knows that, eventually, things tend to get a little slow.That once-speedy startup time takes a few seconds longer, and those hourglasses and beach balls tend to appear a little more often than you’d like. But don’t despair. Over time, it’s only natural for unwanted files and folders build up throughout your hard drive, ultimately impacting performance and eating up precious disk space. Today, we’re going to show you a few simple tips to clean out that old OS X or Windows install, and make things run as good as new. 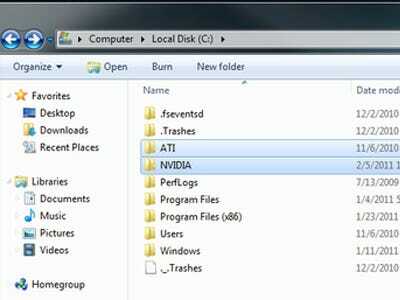 Many Windows driver packages -- especially those from NVIDIA and ATI -- like to extract files from a compressed archive before installing. However, unlike most installers, these files aren't deleted when the process is finished. Over time, the number of these uncompressed archives can build up, taking up space that you could probably otherwise use. You'll most often be able to identify such packages in the root directory of your hard drive (C: for most), with obvious manufacturer names such as NVIDIA, ATI, or Creative. It's a quick way to free up some space, and should save you a few hundred megabytes in the long run, at least. In keeping with Steve Jobs' famous 'just works' mantra, Macs come pre-installed with far more language packs and printer drivers than you'd ever possibly need -- just in case. You might never own an Epson printer, for example, or need to render Cyrillic text, but those aren't assumptions your new Mac is prepared to make. Thus, you're left with a few gigabytes of extra files that most users can safely remove. 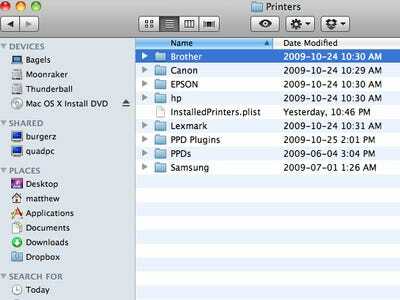 Printer drivers are found under OS X's main Library folder, on the root of your hard drive. Various manufacturers are clearly labelled, and you can delete these as you see fit. Meanwhile, unneeded language packs can be purged with a handy app called Monolingual, which can strip OS X's included localisation files, as well as those found in third party apps and software suites. 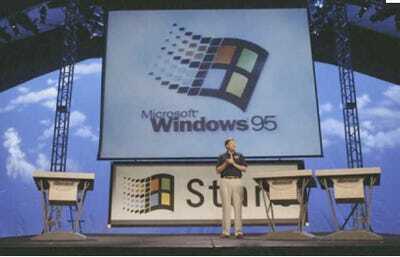 Those of you who've opted to upgrade their copy of Windows, as opposed to performing a clean install, might not realise where all those old files and folders go. In fact, Microsoft puts everything from your previous install into a folder aptly called Windows.old. You'll probably want to poke around an see if anything important is hiding within, but chances are this folder is taking up a whole lot of space you don't particularly need. 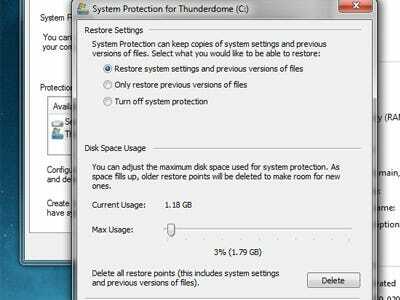 System Restore points are handy for averting disaster and other common system problems, but they also take up a lot of space. Microsoft typically allots a couple of gigabytes to this task, but that value can be lowered -- or even disabled -- if you so wish. A less drastic move, however, is to simply clean out old restore points and shadow copies instead. By heading over to Windows' Disk Cleanup utility, you can remove all but the most recent restore point -- a smart move, especially if previous points are weeks or even months old. One of the most maddening things about OS X is the inability to actually uninstall applications. Sure, you can drag them to the Trash, but that often removes only the application itself, and not all the files associated with it. Steam, for example, stores its games cache in the Library/Application Support folder of your Home directory, as do many other apps, and gigabytes-worth of files could potentially be contained within. If you're comfortable messing about on your own, feel free to dig through your Application Support folder for other lingering files. 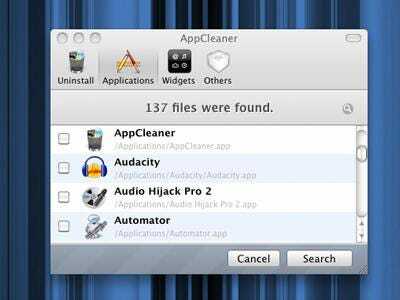 However, there's also the incredibly handy App Cleaner, which scours your Mac's hard drive for preferences and other strangely placed files too, removing them for good. Fortunately, Windows has a built-in utility that can periodically purge cookies, temporary files and other browser files -- but only for Internet Explorer. 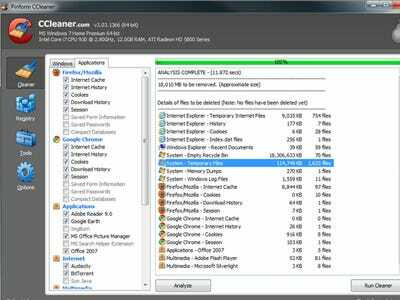 CCleaner fixes this by scanning your PC for files left behind by all of today's leading browsers, including temporary files and logs stored on the system itself. These are the sort of files that build up steadily over time, and you'd be surprised at how much space you can reclaim on some long-running PCs. Sometimes, it can be hard to pinpoint exactly where your biggest storage hogs are hiding. But instead of poking around blindly, treemaps are perfect for visualising hard drive use based on size. Apps like Disk Inventory X (Mac) and WinDirStat (Win) can detail just how large that MP3 collection of yours really is, or whether a long-forgotten directory of videos is taking up some much needed disk space -- handy for figuring out exactly how your data is distributed. Have a new computer you'd like to set up?